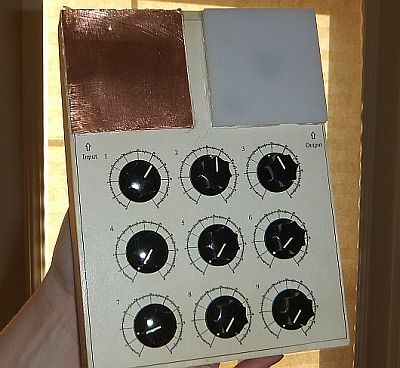 As you may know, for years I have used a physical wishing machine, also known as a "radionics box." 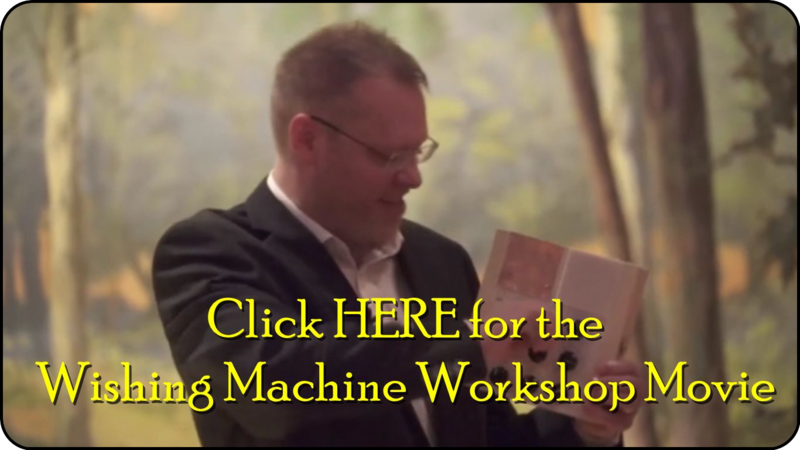 My personal success with this device led me to write THE WISHING MACHINE WORKBOOK, which incorporates a virtual machine (printed designs). Since its publication, I have received tons of emails from people, around the world, who want to continue their radionics education by using a physical machine. A good one is extremely rare, and so I have never offered them for sale . . . until now . . .
For a LIMITED TIME, as an experiment, I can now offer physical radionic boxes. When you order one, you can include instructions for any primary use you may have in mind (or if it's just for general purposes). If necessary, our master technician can customize the box specifically for you. This is an exciting, yet labor-intensive, endeavor. Therefore, we're not sure how long this offer will last. The radionics box is a controversial device that can be used, over and over, to help your desires manifest in an almost magical way. 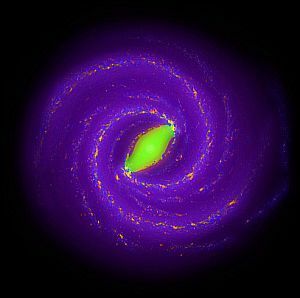 However, there is a scientific foundation behind the box. We know thoughts have physical impact, and this box allows you to tune your thoughts specifically to achieve change in the world. Whether you want to dramatically improve your finances, health, or relationships, radionics has been a powerful means of experimentation for a century. By setting your goal, and tuning your mind-body-environment relationship with the 9-knobs, stunning things can manifest--virtually whatever you choose. Therefore, it must be used wisely. You will quickly see why many consider this advanced "magic" or "techno-shamanism." 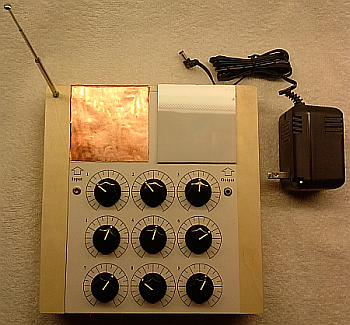 If you would like your own, custom-made, radionics box, make your purchase below for $195. Then our technician will contact you directly, via email, to ensure your box is designed properly for you. Purchase today and shipping & handling is FREE within the United States! For an extra $24, we will add jacks to your box so it can be upgraded to a Model E in the future, and you can use accessories, if you so choose, like helmets and amplifier units. We have just released the Model E, a special, electrically-powered unit that manifests much faster in our experiments. After years of experimentation and feedback from people all around the world, we are proud to finally make available the Model E.
It's a Wishing Machine that includes a wall plug, with an electrical signal boosting the output power. This unit is super-charged, designed to help intentions manifest with incredible speed. Users have materialized things that seem almost impossible, and all in record time. The Model E is $295, and as a special promo right now, includes FREE shipping within the United States. There is an extra $25 added for non-U.S. orders. Order yours now to experience the "Cadillac" of this amazing, evolving technology. Add a light & toggle switch to upgrade your Model-E to our new Model E-Lux! Why is this model with a switch and LED so great? Click HERE for info. Stay updated! Fill in your email address to receive Joshua P. Warren's free (& spam-free) newsletter.